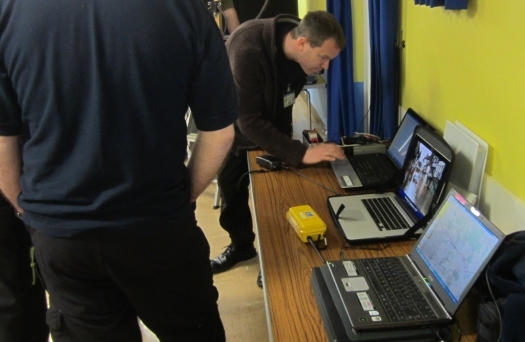 The fourth in the series of CARS Skills Evenings was held on Monday the 21st of April 2014 at the Village Hall in Danbury. 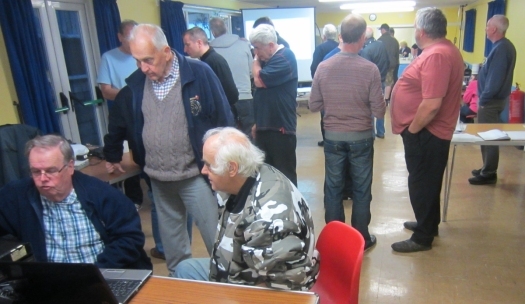 Thanks to Roland M0BDB, Gareth 2E0PSN and Mark M6RKC for setting up a demonstration of what Essex RAYNET offers the community. 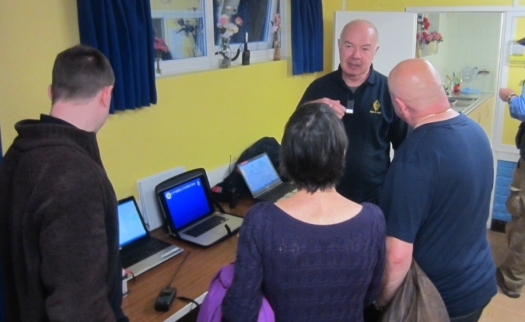 As well as a presentation on the emergency communications facilities offered by the group, live demonstrations of APRS but the evening’s events firmly (and literally) on the map, with the team’s callsigns appearing the overhead projector updated in real time. 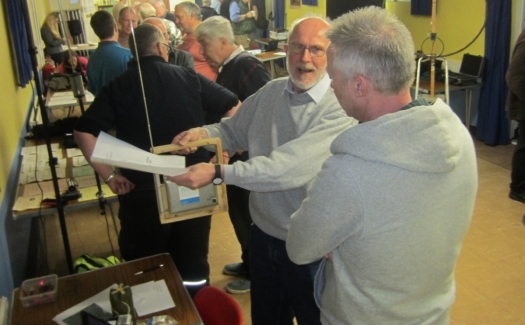 This weekend sees the second of the year’s Direction Finding events take place in Danbury, and Roy G4JAC was on hand to explain what’s involved in direction-finding, how to use the equipment, and why he gets so much enjoyment from the hobby. It also transpires that “triffids” are nothing to be frightened of after all! The usual eclectic mix of items for the show-and-tell tables – Including three HF and two VHF antennas. 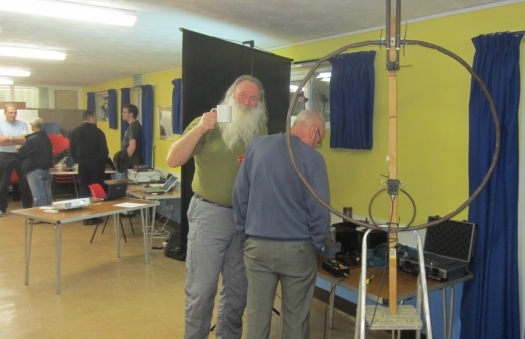 Peter G0DZB’s mag-loop was the talking point of the evening, with the two Buddy antennas brought along by James 2E1GUA coming a close second and third. Jim 2E0RMI brought along his home-made SOTA beam, and a few other items were passed around throughout the night. 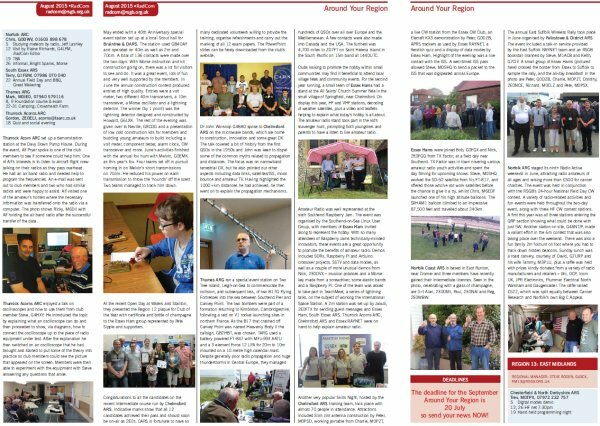 Sticking with the theme of antennas, Carl G3PEM was on hand to offer the new M6s (and the older hands) antenna advice, this time aided by some antenna-modelling software, which was certainly creating some interest. Never work with Children, Animals or 2m vertical antennas, as Pete M0PSX learned. As with live demos – sometimes it all goes “Pete Tong”, and the crowd got to see Pete’s “It worked yesterday, honest!” routine. 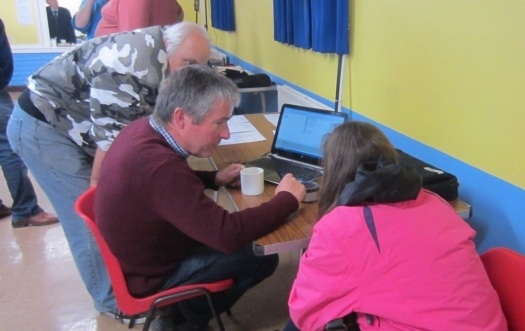 Steve G4ZUL was also on-site, representing the Essex CW Club – Well done to Rob M0KCP for completing his first live CW QSO recently too! 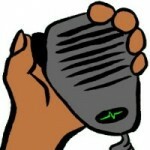 Jim 2E0RMI… I thought you were taking a night away from Echolink? Thanks to Clive G1EUC for running the night’s 10 question multi-choice quiz, with questions from Murray G6JYB and Charlie M0PZT. 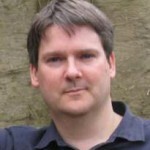 Despite all being for a bit of fun, Clive dished out a few diet-wrecking Easter Eggs for the contributors and winners. The Easter-themed questions causes a few groans, but created laughs and discussion, which is what it’s all about. 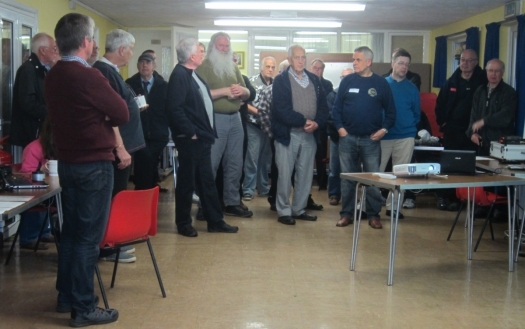 Thanks again to everyone who attended – around 35 of you, despite it being a Bank Holiday! A really great buzz, and lot of conversation. If you have any ideas or suggestions for the next event, set for Monday the 19th of May, please get in touch or add a comment below. Ahme, speaking of typos, you’ve put EMI instead of RMI for Jim’s callsign, too. I was pleased to get the “OK” from Steve about my REV CW paddle habit! 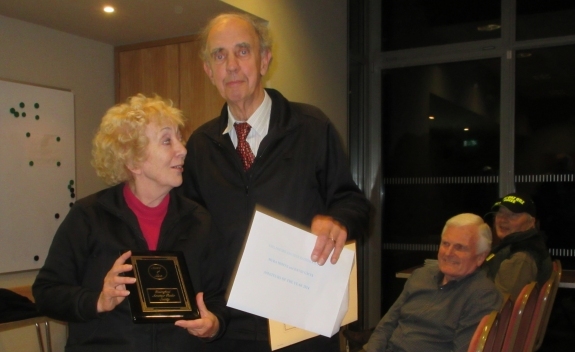 Late night blogging – never a good thing!